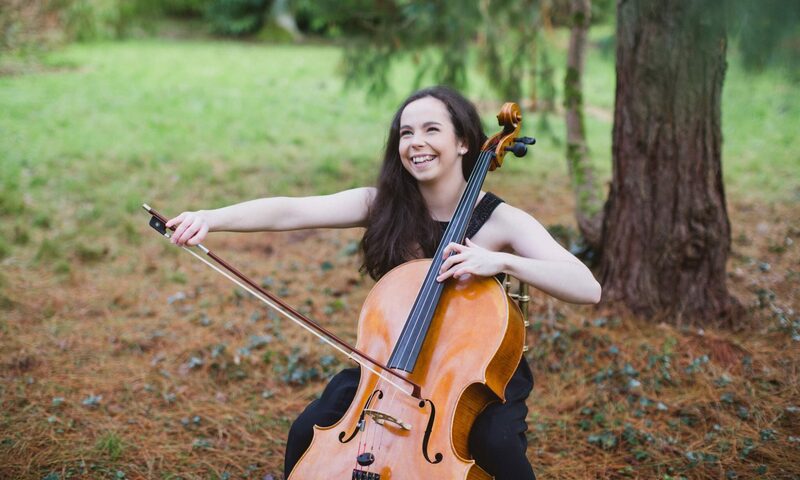 24-year-old cellist Sinéad O’Halloran is quickly establishing herself as one of Ireland’s most exciting young musicians. Co-founder and Artistic Director of the Ortús Chamber Music Festival, Sinéad is passionate about bringing together Irish and international musicians for concerts, education work and audience development in the wider community. She began her musical studies at the CIT Cork School of Music under the guidance of Joan Scannell and Christopher Marwood. At the age of 18 she was offered an Artistic Merit Scholarship to pursue a postgraduate Performer’s Diploma at SMU Meadows School of the Arts in Dallas, Texas in the classes of renowned cellists Andres Diaz and Christopher Adkins. She is currently a student of Gregor Horsch (Principal cellist of Royal Concertgebouw Orchestra) at the Robert Schumann Hochschule Düsseldorf. An avid chamber musician, Sinéad has performed at IMS Open Chamber Music (Prussia Cove), the West Cork Chamber Music Festival (Ireland), the opening of the Bozar Season (Brussels) and the 25th Anniversary of the Fall of the Berlin Wall. She has been a prizewinner in numerous competitions, both in Ireland and the USA. She has collaborated with musicians including Barry Douglas, Tasmin Little, the Vanbrugh String Quartet and Zoltán Fejérvári. Sinéad is currently Principal Cellist of the European Union Youth Orchestra (EUYO), with whom she has toured Europe, South America, the United Arab Emirates and the Caribbean. She was recently selected by Maestro Ivan Fischer for the Budapest Festival Orchestra Apprenticeship Scheme. She has also performed with the Chamber Orchestra of Europe, Irish Chamber Orchestra, Spira Mirabilis, Georgian Chamber Orchestra and the iPalpiti Orchestral Ensemble of International Laureates. She regularly plays under some of the world’s most renowned conductors, including Bernard Haitink, Gianandrea Noseda, Vladimir Ashkenazy, Jörg Widmann and Vasily Petrenko. Sinéad has had the pleasure of working with some of the world’s most respected cellists, including Ralph Kirshbaum, Lynn Harrell, Ivan Monighetti, Colin Carr, Raphael Wallfisch, Jérôme Pernoo, Alban Gerhardt, Natalie Clein, Thomas Demenga, Rafael Rosenfeld, Hannah Roberts, Emma Ferrand, David Strange, Francesco Dillon and Mike Block. As a chamber musician, she has received masterclasses from Xenia ensemble, the Danel, Kelemen, Zemlinsky, Alban Berg, Danish, Doric, Vanbrugh, Kamus, Prometeo, Delian, Jupiter, Carducci and Varese quartets as well as Emmanuel Borok, Hugh Maguire, Liudmila Giorgievski, Joaquin Achucarro, Joel Sachs, Alessio Bax, Katherine Hunka, Greg Raden, Adrian Petcu and Rohan de Saram. Recent international festival appearances include International Musician’s Seminar Prussia Cove (Cornwall, UK), Festival Ravel (Saint-Jean-du-Luz, France), Amsterdam Cello Biennale (the Netherlands), Banff Summer Arts Festival (Alberta, Canada), Clandeboye Festival (Northern Ireland), TCU CelloFest (Texas, USA) and Euro Music Festival (Halle, Germany). Sinéad gratefully acknowledges support from the Arts Council of Ireland, Music Network, the Department of Culture, Heritage and the Gaeltacht, the Cork City Arts Office and Deutschlandstipendium. She currently plays on a Benjamin Banks cello c. 1780.